Large, delicious, and easy to pick. 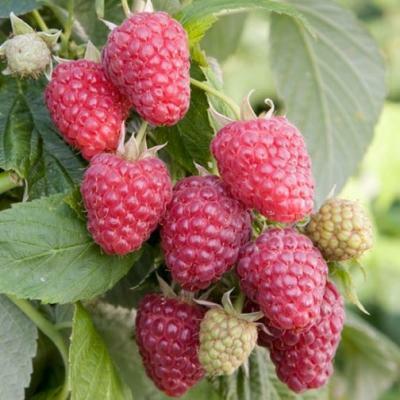 This thornless raspberry variety produces high yields of tasty, firm berries from stout canes. Joan Squire x Teri-Louise. A terrific choice for northern fruit-gardens. Cold-hardy. Fall-bearing (everbearing) primocane with a summer crop. Floricane berries ripen in July. Primocane berries ripen in September through frost. Self-pollinating.